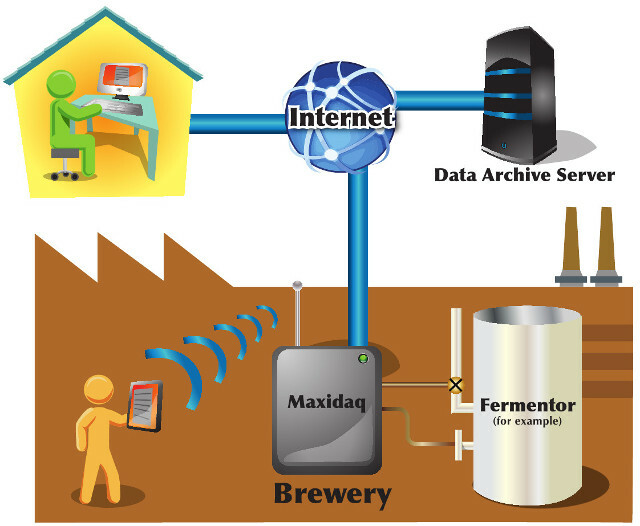 Brew Data manufactures the Maxidaq, an innovative and affordable watertight data acquisition and control system. It comes with a web based user interface allowing you to access your data and control settings from anywhere on the web. We also offer a data archival service so that you can access and plot historical data. This system is great for fermentation management or any other process where remote acess and data visualization is important. Want to know more? Check out: What is the Brew Data system? How can the Brew Data system help you? Check out the Brewer's Ed slideshow or the Maxidaq Overview. To purchase the system, head over to the Maxidaq 12 product page. If you have any questions feel free to contact us.